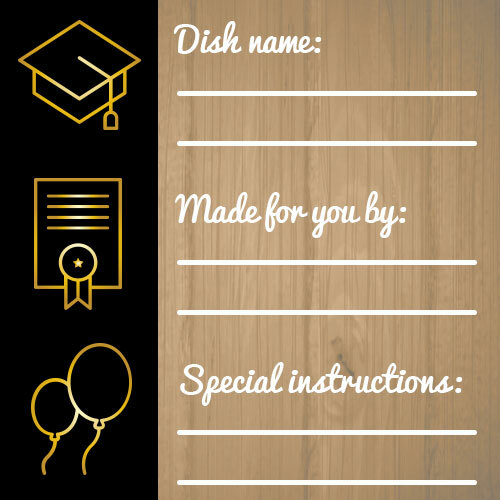 Download, print and share these free potluck meal cards! 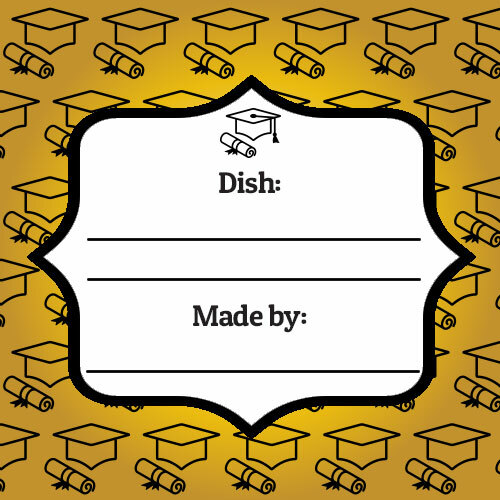 Planning a graduation party or potluck? SignUp.com already makes it easy to organize "who is bringing what" with free, online potluck SignUp sheets; but now, we're also offering super cute (free!) 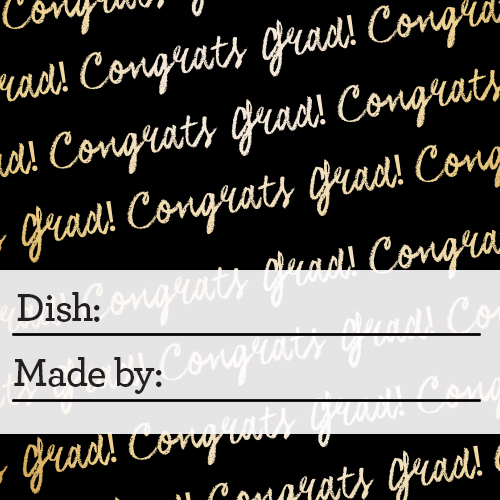 printable meal tags and dish labels to share with your honored guests and grads! 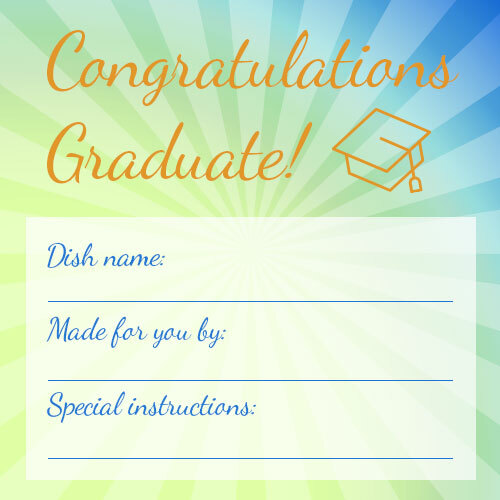 Simply click, save/download and print these celebratory meal cards - or use the facebook, twitter or pinterest buttons above to share with your guests and friends. For the perfect potluck, don’t forget the pens and tape on the big day! Looking for more ideas? 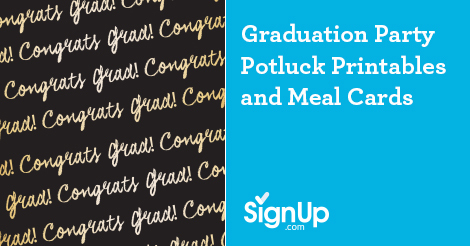 Check out our Potluck SignUp Idea Center, full of fun and new ideas to liven up your next Potluck!